In digital channels, partners can create a multiplier effect for brands by driving new customers and web traffic to generate additional revenue. However, partners – including affiliates, franchisees, independent representatives and dealers – may engage in non-compliant activity online by misusing trademarks, logos and branding in their promotional efforts. Misuse, intentional or not, and cost you legitimate sales, erode your brand, siphon away traffic, confuse your customers, and drive up advertising costs. MarkMonitor Partner Compliance enables brands to identify, prioritize and quickly remediate non-compliant partner activity across the Internet, protecting brand value, increasing profit margins and defending against legal and regulatory liability. Brands have become increasingly reliant on partners such as dealers, franchisees and affiliates, to expand their reach into digital channels, but partners that inadvertently misuse your brand assets can cause channel conflict, increase marketing costs and drain profits. Keeping partners brand compliant is a critical activity, but it requires a different approach than with intentional infringers. Maintaining valuable partner relationships while holding partners accountable can be a difficult balancing act. 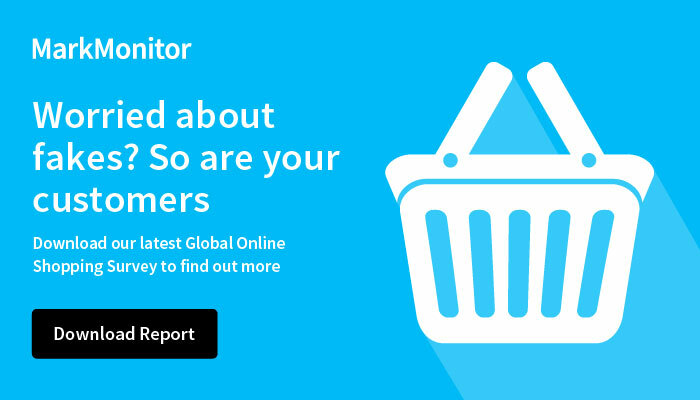 MarkMonitor Partner Compliance is specifically designed to help brands effectively manage sensitive partner relationships and compliance issues across a broad range of Internet channels, including websites, online ads, social media, paid search, marketplaces and mobile apps – essentially everywhere your partners might be – globally and around the clock. We deliver a unique combination of custom-built technology, a dedicated team of experts, and a real world, best practices approach developed from more than 15 years of experience working with top brands across multiple industries. No other brand protection platform can offer our global detection technology, our breadth of coverage or our consultative approach to create a true end-to-end partner compliance solution. Gain visibility across all internet channels: Your partners operate in all corners of the internet – with our holistic cross-channel approach, you gain visibility into all channels they may be using to represent your brand online. Comprehensive case management and enforcement capabilities: Utilize the most efficient and cost-effective compliance techniques to monitor and track new compliance issues as they arise. Automated and customizable notifications: Easily customize automated notifications to save valuable time while ensuring that notifications are appropriate and sent in a timely manner. Automated detection: Quickly and efficiently detect non-compliant partners locally or around the globe using our advanced technology. Geo-specific search results: Relevant search results by harvesting data using local proxies to identify partner activity in a specific local market, outside your home markets, as well as analyze trends across various geographies. Dedicated team of compliance professionals: Benefit from an expert team with 15+ years of experience and a best practice based approach that safeguards sensitive partner relationships while getting results. Education – not enforcement: Utilize selective multi-tiered education letters determined by customer priorities and predetermined workflow to protect valued partner relationships. Investigate troublesome partners: Sometimes a partner that is not following the rules is difficult to locate. Let us use our advanced tools and world-class experience to gather the intelligence you need to take internal action. Non-compliant activity can divert traffic from a brand’s website, affecting sales, commissions, marketing ROI and the bottom line. In addition, when partners compete for paid search keywords, it can drive up a brand’s marketing costs – potentially by tens of thousands of dollars in unnecessary advertising spend. MarkMonitor Partner Compliance provides compliance teams with the expertise and guidance they need for effective 24/7 monitoring and remediation across digital channels – saving brands from losing money while giving partner marketing teams more bandwidth to develop valuable partner relationships and drive incremental revenue. Maintaining delicate partner relationships requires a human touch. MarkMonitor is the only solution that offers brands a dedicated team of experts and a real-world, best practices approach on how to diplomatically hold partners accountable and educate them on the proper application of brand guidelines online.